Joel Gascoigne (CEO of Buffer) and Luke Tucker (Venture Associate at Sultan Ventures) join Evan from Standuppaddlesurf.net for a session of canoe surfing in between Waikiki and Diamond Head, Oahu. We caught a bunch of great waves and the conditions were perfect Hawaii weather for canoe surfing. Ane Zulaika Aranburu (Bic SUP) has been one of the most consistent competitors across this year’s European Cup, putting on a solid performance at the Barcelona SUP World Series to finish in 5th, then a runner up finish behond Celine Guesdon (Bic SUP) in Finland, and now backing it up with a win here at the Final event of the Cup here in Italy after 2 epic days of racing. Today could not have dawned better for the young Hawaiian Zane Schweitzer (Starboard), with solid surf and thus his ideal conditions for the final day of action here in Rome, the World Series Sprint Racing. A dramatic day of racing here on day 1 of the Italia Surf Expo saw the Viking, Casper Steinfath (Naish) take the win in the long distance putting him in a solid position coming into day 2 of the event, the World Series Sprints. After a spectacular World Series Opener in the heart of Barcelona in Spain, the European Cup then headed up north to the beautiful region of Sieravuori in Finland for stop number 2, as it all now culminates in Italy this weekend for the Surf Expo World SUP Challenge Roma. Live athlete tracking, real-time social media updates and up-to-the-minute race results available on race day at Molokai2Oahu.com. For nearly 20 years the Moloka’i-2-O’ahu Paddleboard World Championships (M2O), presented by Kona Brewing Company have crowned the world’s top athletes in the two disciplines of Stand Up (SUP) and prone paddleboarding. An international field of men and women annually come to the shores of Hawaii to test their strength and endurance against 32 miles of the world’s most powerful portions of open ocean – the Ka’iwi Channel, also known as the Molokai Channel. This year, M2O welcomes back a host of past champions and a new collection of rising stars on Sunday, July 26, 2015 as athletes from 16 countries try to plot the fastest course from the island of Moloka’i to O’ahu. Welcome to another episode of Board Meeting. In this episode, Robert and I will talk about how to choose a SUP stand up paddle board. We discuss some of the different types of SUP boards available, what kind of board to get for you intended use (surfing, racing, or cruising), and selecting the correct board for your height and weight. Please meet at Wai’alae Beach Park in Kahala at 5 pm to catch the trailer, launch will be from Canoe Hale in Hawaii Kai. Here is the last part of our Molokai 2 Oahu episode. 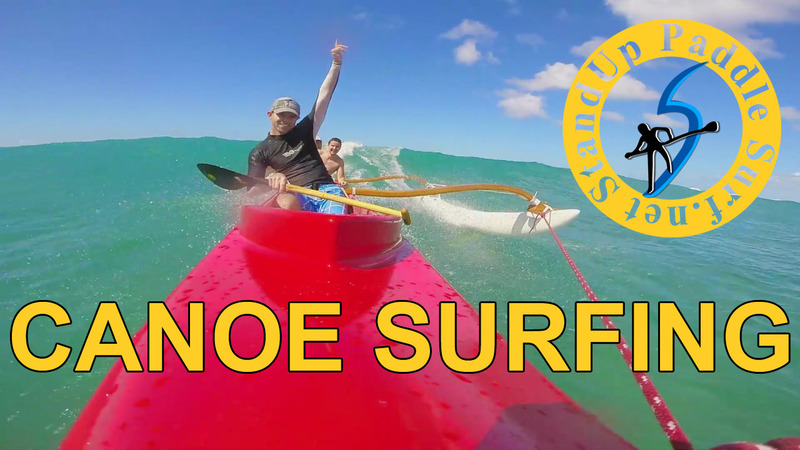 In this video, Robert and I continue our discussion on how to prepare for the Molokai 2 Oahu SUP race and talk about doing Hawaii Kai downwinders as part of training for the event. We also talk a little bit about how downwinders help people with ADD/ADHD (Attention-deficit/hyperactivity disorder). Here is part 2 of our Molokai 2 Oahu episode where Robert and I continue our discussion on how to prepare for the Molokai 2 Oahu SUP race. We talk about training, fitness, nutrition, using the proper equipment, logistics, and a whole lot more to help you guys get ready for one of the toughest races in the SUP racing calendar. Casper Steinfath (Naish) completed an impressive weekend of racing here in Finland for Stop #2 of the 2015 European Cup taking victory in today’s sprint racing, which coupled with his bullet win in the long distance gives him the overall event win here at the Sieravuori Masters and the ratings lead on the European Cup. 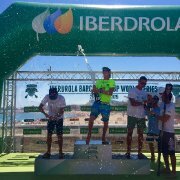 Casper Steinfath (Naish) puts on a dominant performance in the Long Distance Race today on Day 1 of the 2015 Sieravuori Masters, Stop #2 of the European Cup. The morning dawned with blue skies and a strengthening side shore wind providing epic conditions for today’s Long Distance race. After an epic weekend of racing for stop 1 of the European Cup (and World Series) in Barcelona last weekend, a solid selection of the World’s best have continued their journey onto the beautiful region of Sieravuori in Finland for stop 2 of the Cup, the 2015 Sieravuori Masters. The 2015 Stand Up World Series event in Barcelona was a great way to kick off the World Tour. It was super nice to arrive to Barcelona a week and a half early before the event to relax and unpack my suit case, train and get into a routine. You are currently browsing the Stand Up Paddle Surfing in Hawaii - StandUpPaddleSurf.net weblog archives for the month July, 2015.